When everyday items get the silly treatment, we all win. What good is daily living if you can't have a giggle along the way? 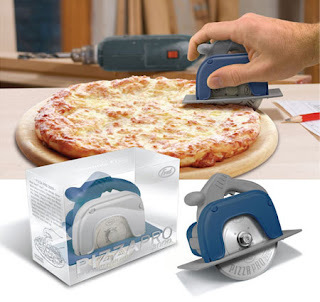 Take this pizza cutter gone undercover as a buzz saw. Perfect for Father's Day, perfect for pizza lovers with a sense of humour!